Hotel: free parking, spa and salon, casino, sportsbook, sand-bottom pool available, theatre, restaurants, bars, shopping mall nearby, fitness centre, kids zone, 3D cinema, business centre, meeting facilities, accessible features, ATM, cleaning services, free shuttle and shoeshine. Room: WiFi, pets not allowed, non-smoking, terraced suites avialable, air conditioning, seating area, flat-screen TV, iPod dock, minibar, laptop safe, ironing facilities, terry robes, soaking tub and glass shower, toiletries. Green Valley Ranch Resort Spa Casino is an AAA Four Diamond full-service resort in Henderson. Despite the more low-key area in Nevada, which is 15 to 20 minutes from the Strip, this 2001-built resort offers everything from restaurants and bars to spa services, a casino, cinema and outdoor recreation. 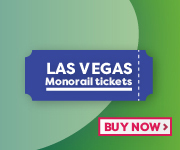 And with complimentary airport and Strip shuttle and nearby highways, you’ll also be always connected to Las Vegas. The hotel has around 500 guestrooms and suites, including 7 king-bed booms and 2 suites with ADA accessible features. Deluxe rooms start at 495 sq feet, whereas some suites are as spacious as 4,000 sq feet and have a private patio with views of the backyard. The standard room amenities include WiFi (for a nightly resort fee), a flat-screen TV, laptop-sized safe, fully-stocked minibar, full-length mirror, and a work desk. Bathrooms are comparatively large and have deep soaking tubs as well as separate glass showers. For breakfast, lunch and dinner, the Green Valley resort offers no compromise with a wide selection of fine and casual dining, including Hank's Fine Steaks & Martinis, as well as quick eats and cafes. Guests can also take time off at the on-site spa and salon and enjoy their sand-bottom pool at the 8-acre backyard with poolside drinks. A state-of-the-art fitness centre is a good addition for the more active guests as well. There’s also large gaming area with over 2,200 slot and video poker, including a non-smoking section, as well as 55 table games, 220-seat Race and Sports Book with VIP seating, plus a 22-table, 24-hour and non-smoking poker salon, and parlour hall. In addition to that, the spa resort is also home to a 2,000-seat Grand Events Center and plenty of lounges and bars with live music, DJs and drink specials. Their 65,000-sq-foot meeting space is also popular for weddings. Last but not least, families will also be pleased to find a multi-screen 3D cinema and an arcade area with a supervised Kids Quest activities program. A large shopping mall with over 50 stores is just next to the Green Valley Ranch as well.